Would you prefer a River Cruise or an Ocean Cruise? When cruising on the River or the Ocean there are a lot of similarities and there are a lot differences. They both offer incredible views, amenities, and the opportunity to explore the ports. Each one comes with its own unique perks. River cruises tend to be much smaller (about 190 max people and the largest ocean cruises are up to 6,200), and as a result, you’re much more likely to be interacting with other passengers and crew members. River cruises translates to a much smaller scale. You can dine on a regular schedule at tables with other passengers (wine is included in the price of the cruise). Instead of a number of activities to do on board, the amenities tend to be more quaint with river cruises — think libraries, a workout room, cultural programs, and free Wifi. Generally there are fewer kids on river cruises, making them popular for couples seeking quiet and relaxed time together. On ocean cruisers there are often kids’ playrooms, glitzy Broadway shows, a skydiving simulator, and then some. You stop almost every day at a new port with river cruises, often involving walking tours through quiet towns with little tourist traffic, and you’re always in view of land. With ocean cruises, there can be days at sea where there is no view of land, or you go from port to port seeing the different attraction sites. However, the excursions tend to be more exotic and high-adventure. Because of their larger size, ocean cruises offer plenty of options for many ages, from young kids, special needs, to a wide variety of special health needs. For this reason, they are a great option for multi-generational family gatherings. For the traveler who is into high adventure, ocean cruises offer a variety of activities on board, as well as more daring day excursions on land. While River cruises seem to be more expensive per person there is a lot of value in the price. Often beverages, excursions, and other value added amenities are included. Ocean cruises have a lower sticker price per person, but you are often charged extra for alcohol and other amenities. 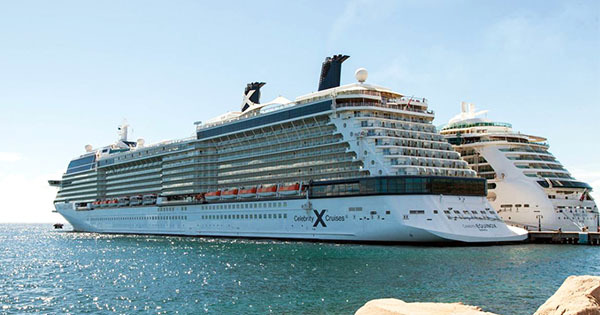 What things are you looking to do on the ship — spas, gyms, more than one restaurant, lots of activities? Or are you looking for something that is not so active or easy-paced? Are you looking for authentic inter-cultural experiences? Or would you like more familiar settings? As always, I’m here and would love to discuss your next cruise. We can look at what you need, what you want, what your dreams are — and together we can come up with a cruise for you and your family. If you are day dreaming about River Cruising here is a link with a great promo.